Hi, there! 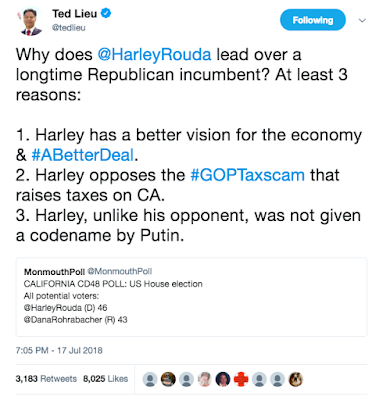 Jack D'Annibale, Harley Rouda's Director of Communications here. It’s been a momentous week for Harley’s campaign to replace Rep. Dana Rohrabacher in California’s 48th Congressional District-- and that’s an understatement. In case you missed it, below are Harley's Top 5 Moments this week. Harley registered 46% support to Rohrabacher’s 43%-- and that’s despite Republicans’ natural registration advantage in the district. The poll also signaled higher Democratic enthusiasm in the district, which isn’t hard to believe given the other candidate spent his week endorsing the notion of arming children (See Number 2). 2. Rohrabacher Endorses Arming Children on Sacha Baron Cohen’s Who Is America? This week, in footage from Sacha Baron Cohen’s new SHOWTIME show Who Is America?, Rohrabacher advocated for arming kindergarteners with weapons. 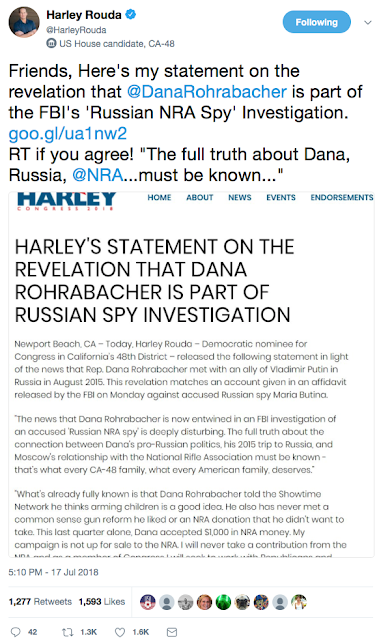 In response to Rohrabacher's troubling comments, Harley said, "Instead of radical, deeply disturbing proposals that make our children less safe, families across the U.S. and in California’s 48th district deserve a Congressmember who will fight tirelessly to see that Capitol Hill finally does something to protect our communities by passing common sense gun safety reforms." 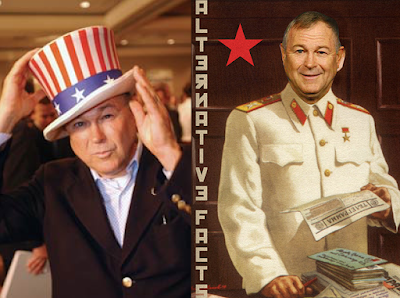 On Wednesday, news broke that Dana Rohrabacher met with ally of Vladimir Putin in Russia in August of 2015, matching the account of accused spy Maria Butina’s FBI affidavit. "The news that Dana Rohrabacher is now entwined in an FBI investigation of an accused 'Russian NRA spy' is deeply disturbing,” said Harley Rouda in a statement. 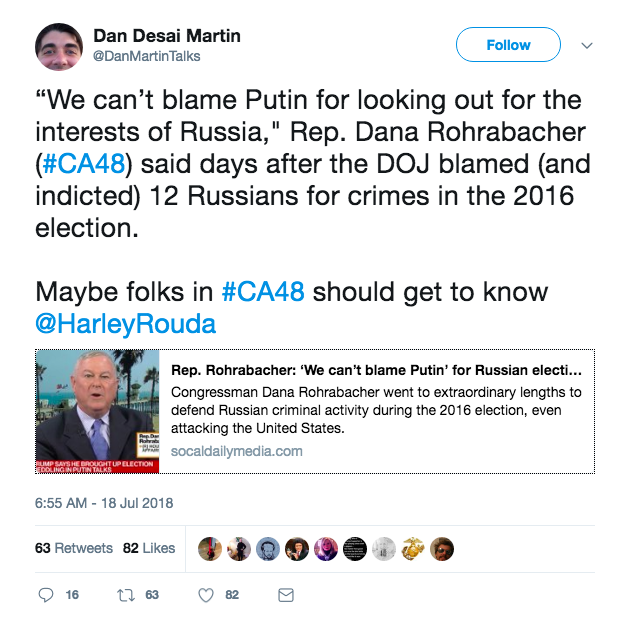 “The full truth about the connection between Dana's pro-Russian politics, his 2015 trip to Russia, and Moscow's relationship with the National Rifle Association must be known-- that's what every CA-48 family, what every American family, deserves." 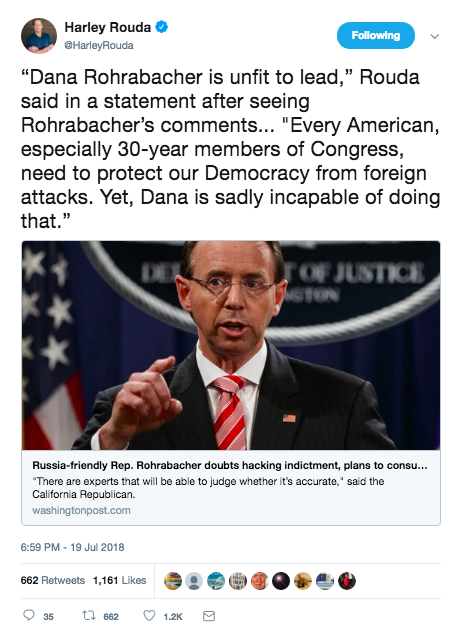 What was Rohrabacher’s response to all of this? Panic. We agree, Dan. 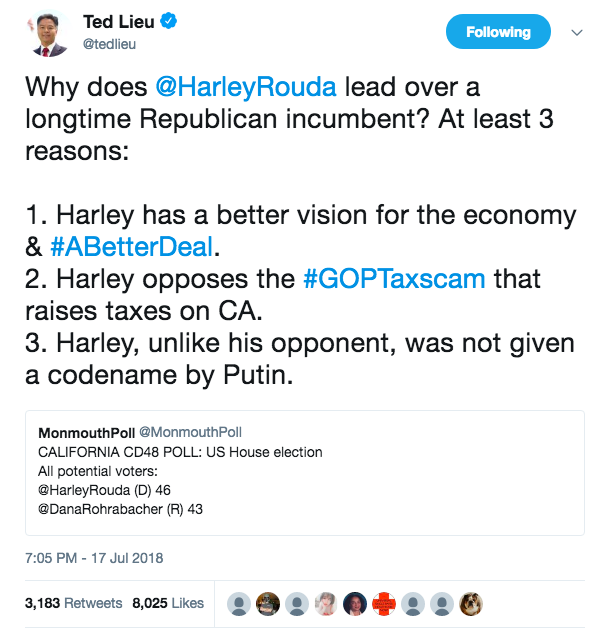 Folks in the 48th District should get to know Harley. The cherry on top of a great week for Harley? 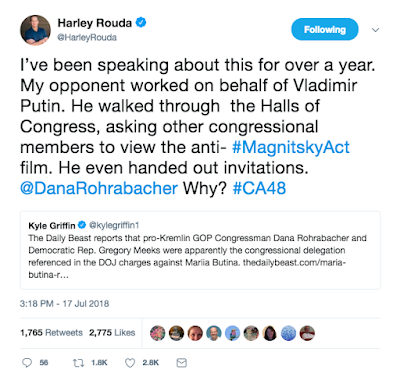 The fact that Harley outraised Rohrabacher 5 to 1 in the second quarter, raising $1.4 million to Rohrabacher’s $294,000. With weeks like these, the momentum behind Harley’s is sure to continue growing at break-neck speed. I had hardly finished reading D'Annibale's e-mail when the L.A.Times piled on with a Rohrabacher story of their own, this one about the on edge Republican "lashing out" at the press again. Reporters asked him about his involvement with arrested Russian spy Mariia Butina. When a reporter asked him about the meeting he had with the spy he spanned and accused the reporter of trying to divert attention away from something or other. 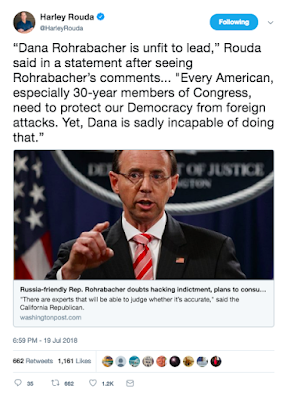 Rohrabacher's office confirmed that he did meet with the spy in his office 3 years ago. The Times reported that "Rohrabacher ended the press conference without answering any questions on the Russia matter or immigration." Nice, but it's all meaningless until after the votes are counted. "neck and neck" isn't a sure thing. You seem to be prone to irrational optimism. Also, how are votes counted? It matters a lot. And there is still the non-zero chance that trump will simply do away with elections if things look bleak for him and putin. Hooray! Another corporatist Democrat goes to Congress! Awesome. Somehow I am supposed to be excited about that but I'm not.